Interested in trying some new Italian spots in Philadelphia? You're in luck: we've found the freshest businesses to fill the bill. Here are the newest places to check out the next time you're in the mood for Italian food. Stop by Aldo and Manny Pizza and Pasta when craving a quick slice or a whole pie baked up in a traditional brick oven. The casual eatery makes its dough and sauces by hand, then tops it with high-quality meats and cheeses. Don't have time to dine in? Aldo and Manny Pizza and Pasta has a full selection of pizzas ready to go and offers free delivery in Center City. Yelp users are excited about the new addition, which currently holds 4.5 stars out of two reviews on the site. 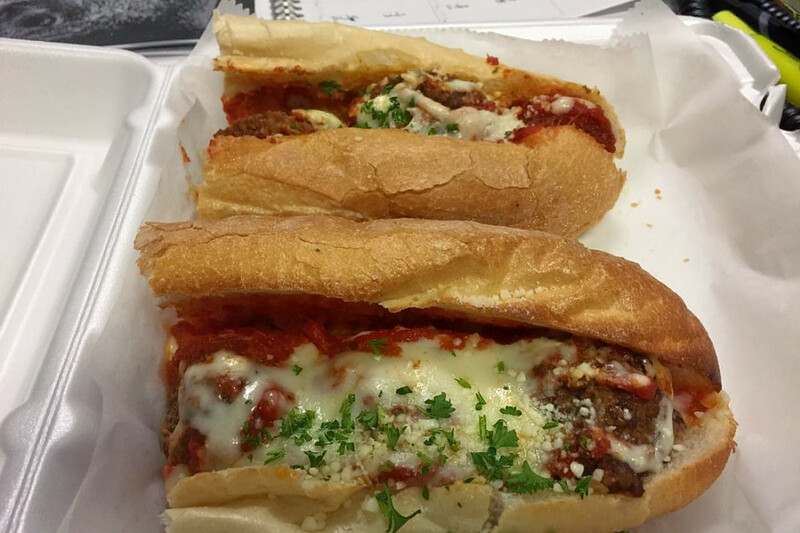 Yelper John O., who reviewed Aldo and Manny Pizza and Pasta on April 13, wrote, "Bonus points for having pizza ready to go! Many different topping selections pre-cooked and quick reheating is all that's needed. The pizza was very good. Staff was friendly and inquisitive." Michael G. noted, "I'm very happy for Aldo and Manny that they have maintained their successes and have been fortunate to be able to open a second restaurant next door to their Foods on First, which they have owned for years. Now they have a pizza and pasta restaurant to complement their mini-empire!" Aldo and Manny Pizza and Pasta is open Tuesday-Saturday from 10 a.m.-11 p.m. and Sunday, and Monday from 10 a.m.-10 p.m.
A few blocks away, Porta has opened the doors to its first Philly location following the success of its restaurants in Asbury Park and Jersey City. The small chain is known for its Neapolitan pies, made with flour and tomatoes imported from Italy and cooked in pizza ovens brought over from Naples, says Eater Philadelphia. Dine on the main floor or in the mezzanine area overlooking the pizza ovens. 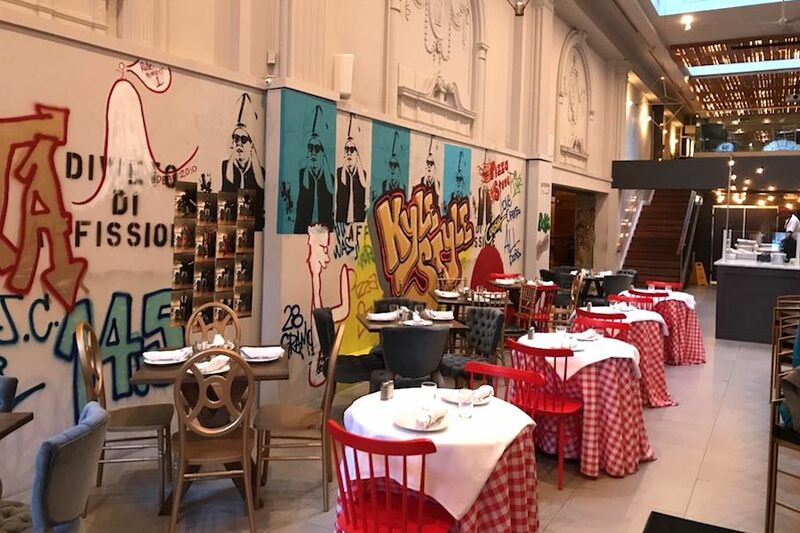 With colorful street art on the walls and red-and-white checkered tablecloths, Porta has an inviting, eclectic vibe. On the menu, there are traditional and vegan pizza options, as well as pastas and risotto. Everything is made in house, from the ricotta and mozzarella to the meatballs. Porta's current Yelp rating of four stars out of 65 reviews indicates the newcomer is finding its way, but it's still early days. Yelper Elisha C., who reviewed Porta on April 12, wrote, "This was my fourth time eating here and it's consistently been delicious, and the service has been great. They have taken extra time to walk me through the cocktail choices, made sure I got a bite of the beautiful octopus dish the staff was tasting, introduced me to regulars at the bar and slipped me a coupon for a complementary margarita." 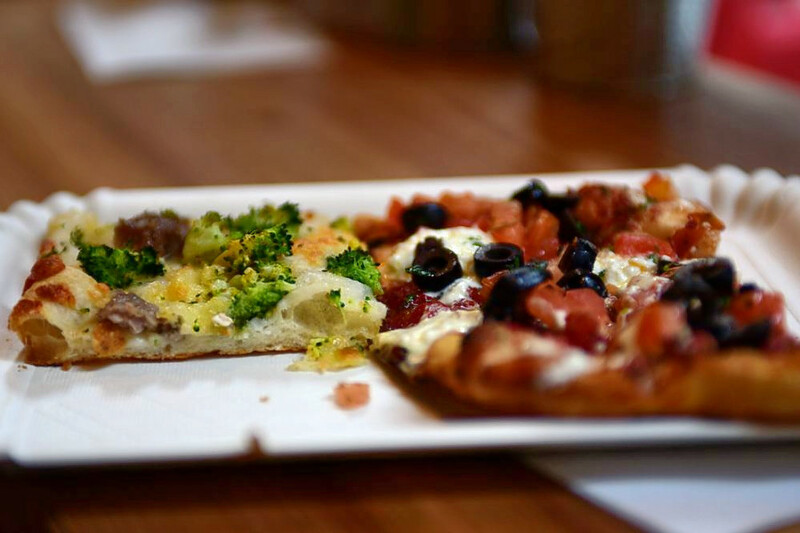 Yelper Andrea R. wrote, "This place truly caters to whatever vibe you're looking for, and who doesn't like wood-fired pizza?" Porta is open Monday-Thursday from noon-11 p.m., Friday from noon-2 a.m., Saturday from 11 a.m.-2 a.m., and Sunday from 11 a.m.-11 p.m.
Alice Pizza--pronounced ah-LEE-chay--features a patented pizza al taglio technique, which uses a limited amount of yeast in the dough and requires 48 hours to rise. This new pizzeria is the first U.S. outpost from pizza maker Domenico Giovannini, who got his start in 1990 with a pizza shop in Via delle Grazie, near San Pietro, Italy. Pizzas here are generally sold by the weight of the slice, and are served by "bartenders" behind the counter, similar to Alice's flagship location in Rome. Personal-size pies and a full salad bar are available as well. Rounding things out are an array of Italian pastries like ricotta cookies, cannoli, and pignoli cookies. Yelp users are excited about Alice Pizza, which currently holds 4.5 stars out of 56 reviews on the site. 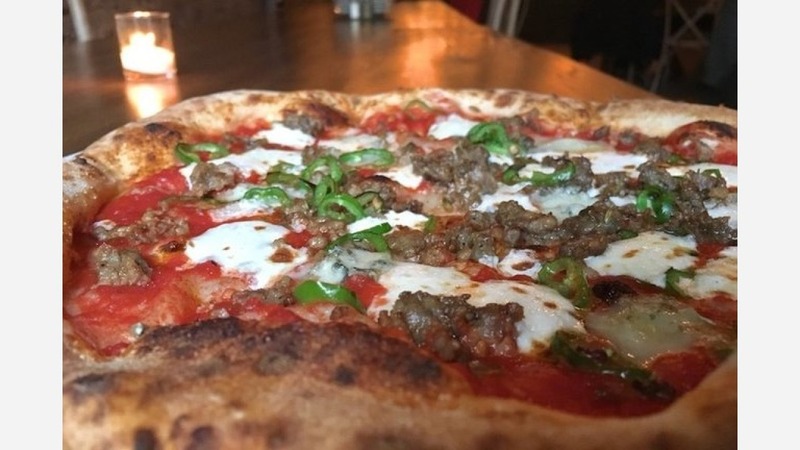 Yelper Kimberly C., who was one of the first users to visit Alice Pizza on March 15, wrote, "I just polished off a slab of Alice's Funghi & Quattro Formaggi, and I do not jest that it was literally the best pizza I've ever had. This counter-service patisserie/pizzeria is to die for. They cut you off a slab of their numerous and varied pan pizzas and price it according to weight. I got about a medium-sized slice of pizza for $3, and it was worth every penny." Alice Pizza is open Monday-Thursday from 8 a.m.-10 p.m., Friday from 8 a.m.-11 p.m., Saturday from 11 a.m.-11 p.m., and Sunday from 11 a.m.-9 p.m.
Over in Northern Liberties, the family-owned Dolce & Caffe specializes in Italian eats, including omelettes, fresh-pressed panini and desserts (cannoli, tiramisu, cookies, and more). The European-style cafe also offer a variety of espresso mainstays, as well as their own takes on lattes and other drinks. Try the waffles or crepes with Nutella and strawberries, or cool off with the Italian gelato. Yelp users are excited about Dolce & Caffe, which currently holds 4.5 stars out of 34 reviews on the site. 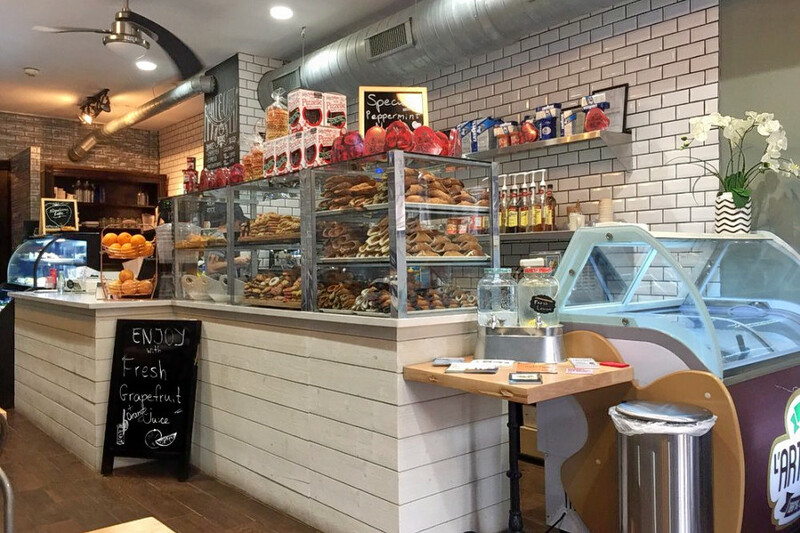 Yelper Jay S., who reviewed Dolce & Caffe on April 1, wrote, "This place is amazing, a hidden gem in Philadelphia for excellent pastries, coffee and lunch items. The shop is clean and very inviting, and the overall feel of the place is positive. I recommend trying their desserts, especially cheesecake varieties and the cannoli." Stephanie R. noted, "There's nothing I love more than a family-run business that truly embraces what they're good at. Amazing Italian desserts and also all the classic espresso coffees." Dolce & Caffe is open Monday-Thursday from 7 a.m.-9 p.m., Friday and Saturday from 7 a.m.-11 p.m., and Sunday from 8 a.m.-8 p.m.